Silk Spinner, an “appeared in distress, vanned off” on the chart for the 7th at Finger Lakes Monday, has been confirmed dead by the NYS Gaming Commission. He was nine years old, and his fatal run was his 47th time under the whip. Finding Candy was seven and under the whip for the 55th time. Also yesterday, Ruth, a 5-year-old curiously being raced for only the 2nd time, “broke down” in the 9th at Will Rogers. “Broke Down,” of course, is industry-speak for dead. Just go to Equibase and look at Finding Candy’s decline – but again, this poor racehorse is just one of countless racehorses who run at the “elite” tracks then get sold/claimed when their “elite” owners no longer want them. 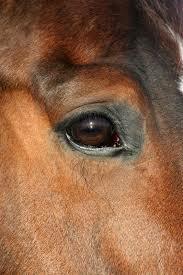 Equine suffering and death is inevitable in the horse racing industry. Racehorses WILL no longer be “loved” and wanted by their owners at some point – then it’s off to run at some cheaper track, given away to the first taker, sent to auction and eventual slaughter. Take your pick…any one of those guaranteed endings are happening every day to countless racehorses. The claiming game is the sewer of this animal abusing business. Maggie Moss should never portray herself as anything other than what she is., a participant in horse abuse.. She is in the “business” to make money and feed her ego at the expense of the horse, period. I feel for Finding Candy. What a sad story of suffering so these callous greedy people can make money from his labour and then more money by dumping into the claiming ranks knowing full well he will start his decent into horse Hell. So very true, Rose….. and what’s really disturbing is that there are many other owners like Maggi Moss. Yes Carolyn…but most other owners don’t pretend to be advocates for the horses – Moss does and in doing so, her hypocrisy goes unnoticed by those who don’t see that she, too, uses her horses then gets rid of them. Plain and simple…she GETS RID OF THEM. She fools the unknowing into believing she’s a caring advocate – but in exposing the truth, she’ll be seen for what she is. Just another exploiter. And I wonder if Ms.Moss ever thinks about her”beloved” mare, So Many Ways, sold for an undisclosed sum to a breeding farm in Japan. Peruse the comment section, and it becomes abundantly clear that people want horse racing shut down. My comment included this Blog so more people can comment herein. A follow-up to this story is that Maggi Moss is now claiming that she tried to buy Finding Candy back, and by golly, they just wouldn’t let her! Of course she posted this article on the Blood Horse just the other day – AFTER THE FACT, and after watching the ongoing abuse of Finding Candy. Poor darling another exploited horse that made lots of money for Maggi, and was dumped like most of her horses are. Sadly, as most of us know here, Maggi is not an anomaly in this business. She’s standard operating procedures to the tee: use, exploit, dump. Exactly Gina…as I mentioned in a previous comment (C&P below), she could have taken just a PORTION of the money FC made for her and claimed him. But she didn’t – and now he’s dead. “The outrage over Finding Candy’s death is warranted – that goes without saying. But the hypocrisy of Maggi Moss? – it would be laughable if the issue at hand wasn’t the exploitation, suffering and subsequent death of the race gelding, Finding Candy. She claimed him for 20K on 3-22-14. Raced for Moss on 5-4, his earnings were $3,700. Raced for Moss on 6-5, his earnings were $18,600. Raced for Moss on 6-27, his earnings were $4,400. Also on 6-27, she SOLD him via a claiming race…for 50K. This breaks my heart. I shared this blog on my FB page, and got ALOT of grief from many of my horsey friends. Its sad that people want to turn a blind eye to this world wide tragedy. There are great strides being made for tougher laws for animal abusers, and shutting down puppuy mills, and dog fighting rings, I only hope eventually that momentum continues on to the racing world, to relieve theses majestic creatures from the horrible track life. I honestly don’t see how subjecting horses to the cruelty of the track life, is much different than dog fighting. Thank you Pamela…and just keep sharing. All of this pain, suffering, dumping and dying is not only inevitable, but it’s part of the daily operating procedures of this business. What I find equally appalling is the continuous support, via taxpayers, of this industry. For example, the public coiffures of Louisiana gives 36 million dollars to prop up purse money there. This is sickening! One politician attempted to divert it from the racetrack into educational scholarships for hard working students who want access to higher education – it was BLOCKED – primarily due to the whining HBPA, their cohorts, and supporters of horse racing. The horse racing business feels ENTITLED to taxpayers money because they have been automatically getting it year after year. Had this purse money been diverted, then the majority of racetracks in Louisiana would have been on a downward spiral and/or shutting down. Moreover, lots of deserving children would have got a higher education instead of racehorses dying for the undeserving animal abusers. This example is just one state! Recently, Gov. Cuomo caved into racetrack pressure and decided to financially support Finger Lakes. We know the results of this decision – racehorses dying while the taxpayer who doesn’t support this gets ripped-off once again. All financial support to horse racing should, must, and will end. When it does, the race tracks will start to shut down, and with every race track that shuts down, more racehorse lives will be saved from this despicable business. I wish I could post his picture. hospitals, education and housing are in need of support and funding. As for the jobs argument….. car manufacturing industry, steel industry and the like are shut down and look at all the jobs that are lost there in those important industries. Agree with you 100%, billy yiengst. I completely agree with you, Billy. While what happened to Finding Candy was horrific and it sickens me, it is no different than what happens to thousands of racehorses. Every single day, there are horses just like him that have raced too young, too much, for too long, for too many different owners and trainers, with too many drugs in their bodies and with too many injuries. From day one of their racing enslavement to the last moment of their exploitation – not ONE of them had a life that was their own. And come to find out, an individual who exploits her own racehorses found the exploitation of Finding Candy unacceptable. Why THIS gelding was more deserving of freedom from the racing industry than what her own horses are, I have no idea. In Ontario Canada, then Premier Harris cut a back room all boys deal (with little to no transparency to taxpayers) to divert 345 MILLION PER YEAR for 12 years from casino profits directly to Woodbine racetrack essentially diverting it from public coiffures. Neither are thousands of racehorse lives worth the cost, and that goes for anywhere there is one of these hell holes operating. The only reason why millions are diverted to tracks is probably because politicians are in bed with them, and are financially gaining from these “deals” while ripping off hard working people, and taking away their access to education, and health care. Like I’ve said a corruption pit at best while dead racehorses are piling up. The outrage over Finding Candy’s death is warranted – that goes without saying. But the hypocrisy of Maggi Moss? – it would be laughable if the issue at hand wasn’t the exploitation, suffering and subsequent death of the race gelding, Finding Candy. All of that money and she didn’t lift a finger to “earn” it. And when this poor gelding kept falling lower and lower in the damn claiming ranks, she neglected to take a small portion of the money he made for her, off the labors of his body, and GET him – a mere 5K to claim him on 4-22, stopping the madness and retiring him, would have prevented his suffering and death just several days ago. Joy, this is shocking to read Finding Candy’s story. Billy, check out Voodoo Storm. Sickening. Understand what you’re saying Billy yiengst. However, my view is that this petition for Finding Candy is exposing what goes on with many horses that begin to under-perform and are discarded by their owners into the insidious claiming races which is hellish for them and virtually a death sentence for the vast majority. This particular petition is likely the first of its kind and I fully support it. Potentially, it could open up the biggest can of worms much to the chagrin of the horseracing industry and especially to the owners like Maggi Moss. Racing will never be able to justify the deaths of its most important participants, the horses. I totally agree with that and hope that Patrick can get a copy of the necropsy report. I also agree that all racehorses deserve mention, and this blog is the only one that tracks their deaths. Maggi Moss is like most of them: use, exploit, maim, dump, and/or die. Standard horse racing operating procedures. So sorry to hear about YOU KNOW JUNEAU. Since I’ve been following this Blog now for 2 years my only wish is to get through one week, just one week, without a racehorse dying for this despicable business. So far, my wishes have not come true, and I now realize that I have to reduce one week to just ONE DAY. For the most part, even that hasn’t been met. Horse racing KILLS racehorses – FACT. Billy, is that not like saying I should not have taken the 4 Thoroughbreds I have and the 3 I found homes for because ALL horses deserve a home and we can’t, do the same for all . I believe sending a message re a horse that died on the track misteriouy is a good thing even though we can’t call the business out on every horse killed in this “sport”. I agree with you that racing should be held accountable for every horse it kills but in a corrupt business that sets all it’s own rules and does not answer to anybody and where the horse is a disposable commodity it is wishful thinking. Thank you for signing Rose and Carolyn. Your comments are right on. Of course we would like to save them all, but even saving 1 is making a difference. So Billy, it’s your choice, but at least this petition does something for Candy. We all know that their self-directed “investigations” go nowhere, and are usually just a cover-up or public fodder. Thank you Billy yiengst. From what I’ve read about racing in your state of Pennsylvania it’s very bad, especially Parx and they’ve been calling for the sacking of the notorious creature, Sam Elliot. We’ve exposed him here on HW in the past. I remember when a jockey didn’t pull a horse up when it had fractured a leg and kept riding and Sam Elliot took no action and saw nothing wrong with it. Just goes to show what a sadistic creep he is. I can understand your despair living so close to Parx but your research empowers you to expose the horseracing wrongs and you have my utmost respect and admiration for the work you do. Although it seems nothing is changing for these innocent noble horses, I believe it is, in that, thanks to Patrick’s tireless work and dedication, the animal cruelty in racing is being exposed, the public is being made aware and being educated. I’ve seen comments on a pro-racing site citing HW with the thrust of their comments revealing that we are a threat to racing. We know that, because for far too many decades racing’s dark ugly secrets are no longer. They know they’re in a real mess. Protests at race meetings is a good way of getting the message across and getting the media interested.